It is estimated that 80% of your child’s education is absorbed through their eyes, yet this September one in five school-aged children will return to the classroom with an undiagnosed vision problem. So to celebrate National Eye Health Week (24th – 30th September) Ferrier & Mackinnon Optometrists are campaigning for every local child to book their free annual ‘back to school’ NHS eye test Scotland. As they grow, children’s eyes are particularly susceptible to developing eye conditions that could jeopardise their future prospects if left untreated. Squints, lazy eye, astigmatism, myopia and visual stress are all common amongst school-age kids, and can negatively affect their development and academic attainment. Symptoms such as the inability to concentrate, poor coordination and lack of social development are often blamed on children being slow learners, troublemakers or dyslexic – but these signs could easily be the result of poor vision. The vast majority of vision problems in kids are easily fixed, but the earlier the issue is identified and treated by a qualified optometrist via a comprehensive children’s eye test the less likely it is to cause lasting impact. 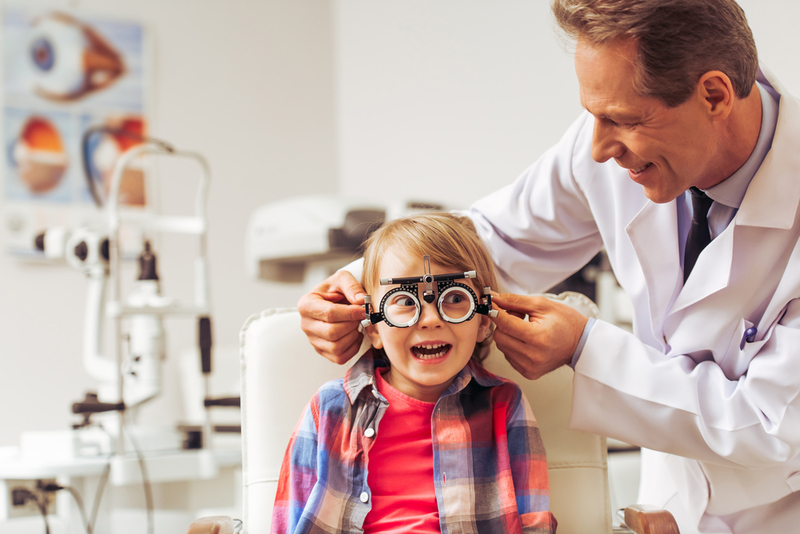 National guidelines recommend that every child under the age of 8 should book an NHS eye test Scotland at least once a year, and Ferrier & Mackinnon Optometrists are on hand to help. Our team specialise in the children’s eye test, and are high qualified to ensure your littl’uns receive the best possible clinical care and attention before you send your kids back to school. We have many years of experience putting young patients at ease, and guiding them through the various tests and checks. We’re even able to assess the eyes of pre-schoolers who aren’t able to read the traditional letter chart – it’s never too early to book your kids in for their comprehensive children’s eye test. 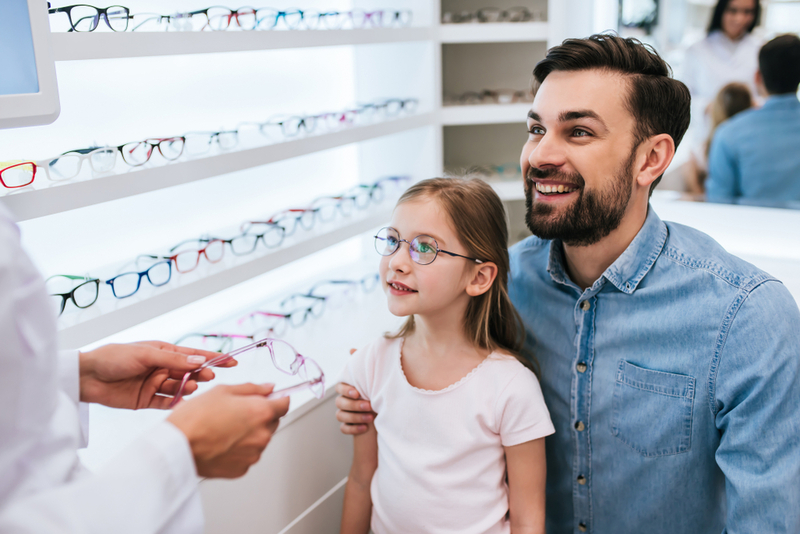 If your child does require glasses to correct their vision, the NHS also contributes towards a pair of spectacles to ensure they enjoy clear eyesight throughout their school years. We stock an extensive collection of children’s eyewear for them to choose from, and are also able to fit contact lenses if they’d prefer. All too often, poor attainment in the classroom is the result of an undiagnosed vision problem. Don’t send your kids back to school ill-equipped because of their eyesight – use National Eye Health Week as the perfect excuse to book them in for their free annual NHS eye test in Scotland at Ferrier & Mackinnon Optometrists today. You can also book by calling one of our practices here. Previous Previous post: What are the Benefits of Contact Lenses?